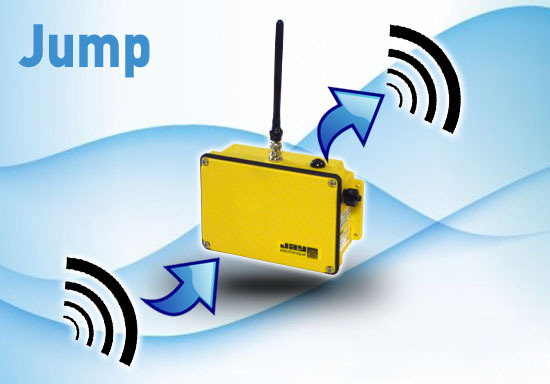 The Jump radio repeater is used to relay a recognized radio signal with a secure way. It thus allows to increase the radio coverage area relative to the needs of the application. This device for long range remote control is designed for unidirectional transmission solutions from JAY Electronique and can be used for the following series: UC, UD, UR, and RS.